Researchers at Ecole Polytechnique Fédérale de Lausanne (EPFL) in Switzerland have developed a completely new technology that has enabled paralysed rats to move again. 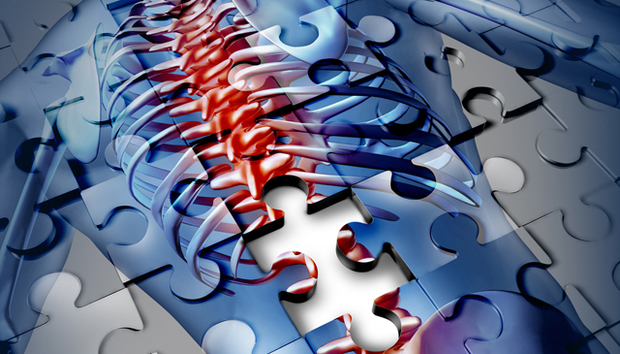 The spinal implant called e-Dura could potentially be used in humans too. Ayesha Salim speaks to co-researcher Stephanie Lacour to find out more. For people that suffer from chronic back pain, spine implants usually offer a welcome respite from the pain. The spinal cord stimulator is usually implanted near a person’s spine to send electrical pulses to the spinal cord. But the problem with some of these implants is that they can cause problems for surrounding tissues. And there have been several cases where patients have incurred more injuries after having these spinal implants inserted in their backs. Some even leading to paralysis. But now a new type of spinal implant called e-Dura actually works naturally with the tissues it’s surrounded with. I am speaking on the phone to Stephanie Lacour, one of the researchers who helped develop it. The e-Dura is primarily made of silicon rubber which behaves like an elastic or rubber band – and this is what makes it unique – the ability to be flexible allowing it to move naturally on the spinal cord: “If you have an implant that can accommodate and follow those natural movements, then the integration works much better than if you have an implant that is sort of stuck and cannot stretch along,” Lacour says. But the rats with spinal cord injuries started showing improvement with the e-Dura implant, to the point where the rats started to move. How did the implant work? “We placed the device just below the site of injury, on the part of the spinal cord that was no longer connecting to the brain. We sort of substituted the information usually coming from the brain that activates the spinal circuitry to trigger movement in the limb.” Lacour tells me. How do you do those transmissions? Despite some of these hurdles, the prospect for helping paralysis in humans is exciting and the experiment on the rats would not have been successful without the help of several groups working together, particularly her co-researcher Gregoire Courtine.